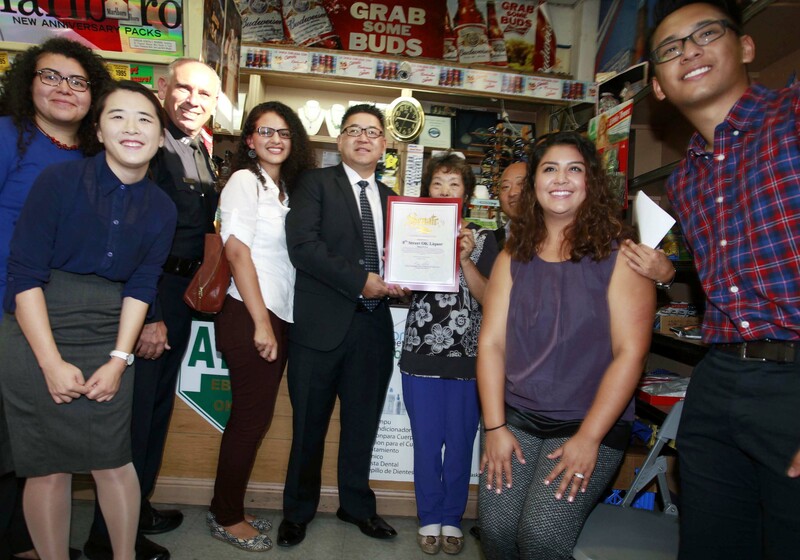 A beloved Koreatown liquor store previously owned by “Korean Mama” Lee Young-ok, who died last year of liver cancer at age 72, was awarded a commendation Wednesday by California State Senator Kevin de Leon. OK Liquor, located on the corner of Western Avenue and 8th Street, has been a neighborhood fixture for 30 years. Under Lee, it became a community haven known for its kindness to those in need, from children to customers short on bus fares. Ben Park, a staffer for the senator, handed the commendation to Lee Bong-ok, Lee Young-ok’s sister who has taken over operation, and said the business had contributed to the well-being and public peace of the community. 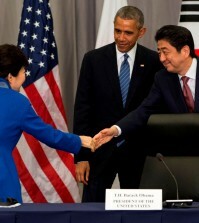 Lee Young-ok was a regular donor to the Los Angeles Police Department’s Olympic Division and the local fire department. “Through the LAPD and Koreatown Youth & Community Center, we learned of OK Liquor’s contribution to the community and are delivering this commendation,” Park said. LAPD Captain Vito Palazzolo of the Olympic Division said he hopes other businesses follow in the liquor store’s footsteps in protecting Koreatown youth. “I will continue my sister’s righteous deeds,” Lee Bong-ok said.